At Portable Storage of MN, we have proudly worked with our local community for more than 15 years to provide companies and businesses with portable storage units that suit their needs. We work with you to deliver units conveniently for you, and can either keep them on your property, or if you want to fill them and have them stored offsite at our facility, we have a secure facility to promise you that your good are safe with us. We have long term and short term options to ensure you that all your needs will be met. We also do not have any hidden costs, and storing your unit at our place does not cost any extra, we only charge for pick-up and delivery. Working with a variety of businesses such as schools, law offices, clinics, retailers and more, we are here to make your job a little easier. When you decide to work with us we will provide you with only the best customer service, and before your storage containers are delivered we will prepare a detailed quote to promise their is no hidden costs of fees. Faster delivery and faster pick-up every time. When you can’t wait for pick-up or delivery Portable Storage of MN is the only way to go. We use our own fleet of trucks to ensure prompt drop-off and pick-up of your portable storage container. Our secure, large, steel, wind and water tight commercial storage containers are used by companies for files, equipment, and excess or off-season inventory. In addition, our portable storage units are often used to store classroom furniture when schools remodel. 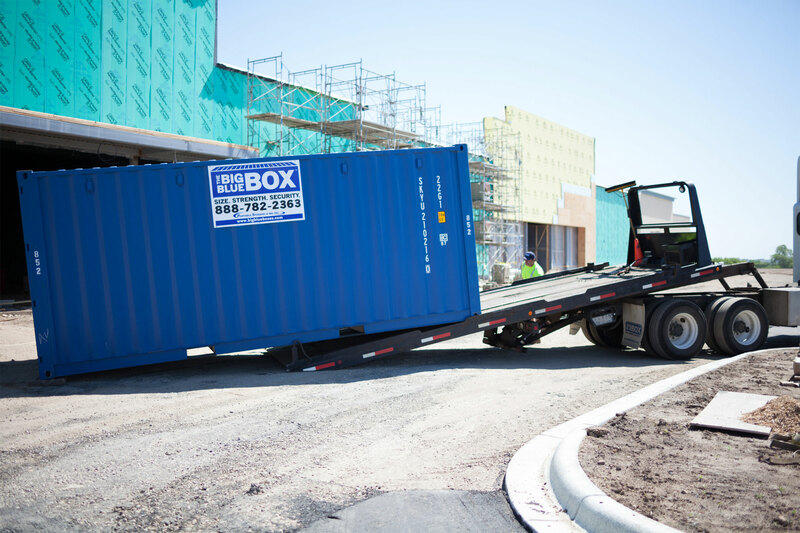 Once loaded, our 20 foot portable storage containers can be stored at your site or, if you prefer, they can be stored at our secure facility and returned upon request. There is no additional rental charge for storage at our facility (transportation costs apply). Please note that 40 foot storage containers cannot be moved when loaded. 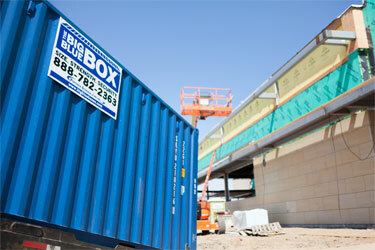 You will appreciate the great condition of our portable storage containers. We personally inspect each container before it is delivered to you. Regular maintenance is provided free of charge. Maintenance is provided at no extra charge for the duration of the rental period. A security lockbox is provided on every storage container and only you hold the key.